Spring is here and that means it’s time to spruce up your wardrobe with bright colors, fun patterns, and an all-around new look. Additionally, it means that you can do all kinds of new and fun things with your style. One of my favorite looks to sport in the warmer months is one that is topped with a bow. Bows are a delicate, girly, and super feminine way to look stylish and adorable. They come in all colors, patterns, and sizes. They can be small and dainty or they can be loud, large, and a act as a statement. One of the reasons I love bows is because they are very versatile. 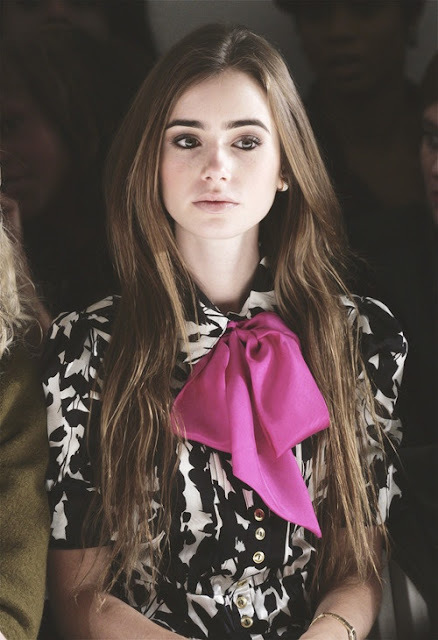 One bow can be worn and look preppy and perfect, another can be worn and look chic and bohemian. It totally depends on your own style and preferences. I also love that these adornments can be put on almost anything. From a piece of jewelry as small as a ring to a dress with a large and grandiose bow in the back for extra outfit umph, they can be present in as little or as many ways as you want them to. I have hair bows, shirts with bows, flats, flip flops, bags, scarves, and cardigans all complete with perfect little bows that I love. Another awesome thing about this trend is that they can be 3D. That’s a super cool aspect of it that makes an outfit stand out and allows you to do something different. Or, if you prefer to keep it two-dimensional, there are tons of outfit pieces on there with bows drawn on rather than popping out. So, this spring, tie up your outfit in a bow - quite literally. Go out in Gossip Girl’s Blair Waldorf style and you’re sure to look fabulous!